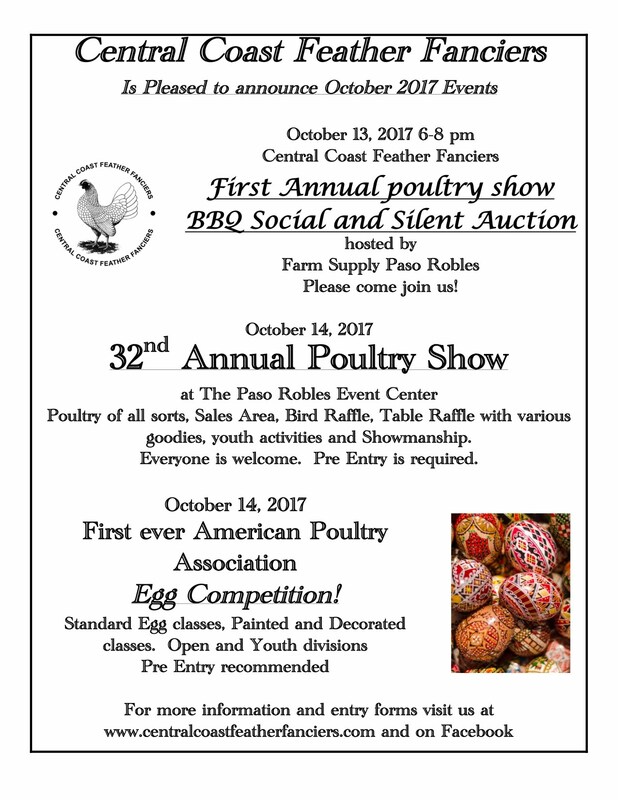 Our 33nd Annual show will be held October 13th 2018. We will be having a single show this year on one day. 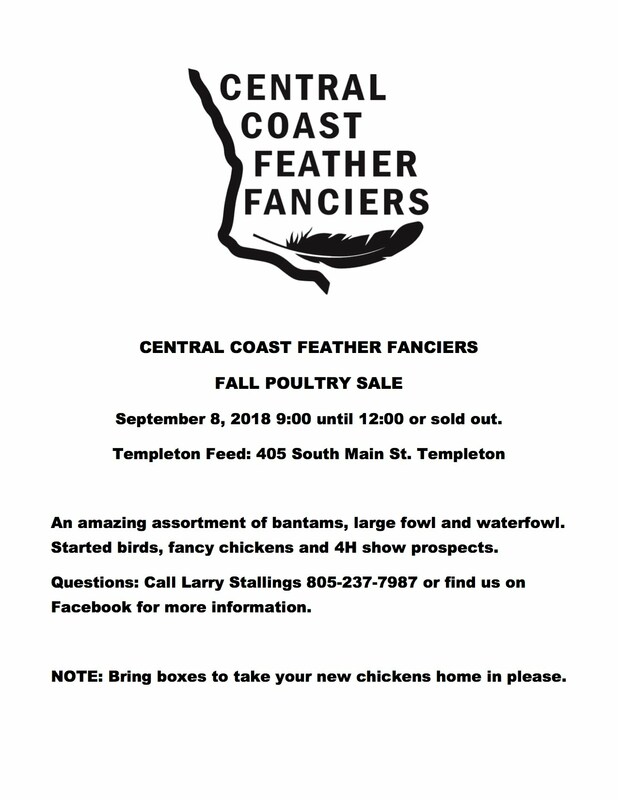 The Central Coast has many wonderful places to visit and it is a great place to explore, but for those that would like to avoid the high costs of hotels we have changed the show to a single day with coop out available on Saturday night. 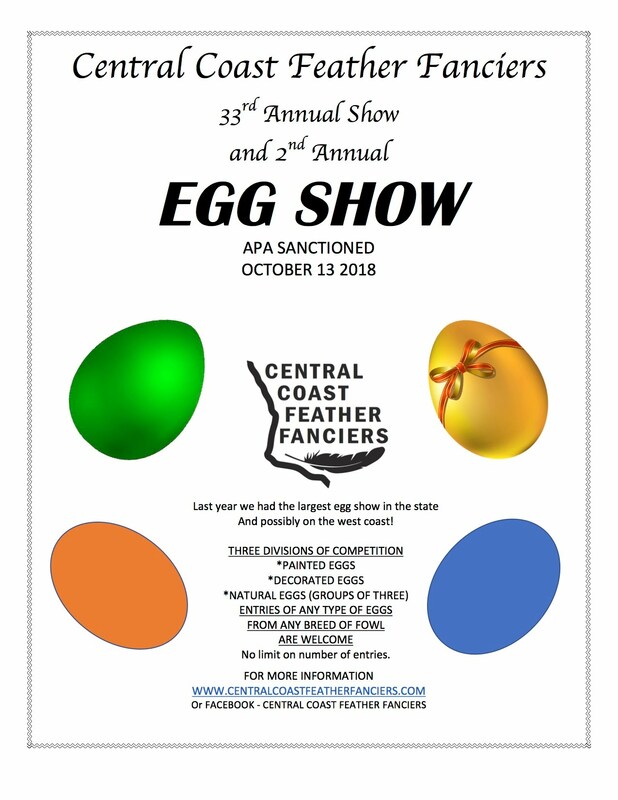 We will be hosting the second annual APA sanctioned egg show . This is an exciting addition to our show. Also this year we will not have a banquet but we have a social free of charge at a local business with BBQ food and drinks, wine tasting, and a silent auction. Our club has updated our logo! Sorry Im having trouble with it showing up.